Blog Summer Camps for Creative Kids! Summer Camps for Creative Kids! My summer camps are now booking! These courses are particularly suited to creative and imaginative children and teenagers. 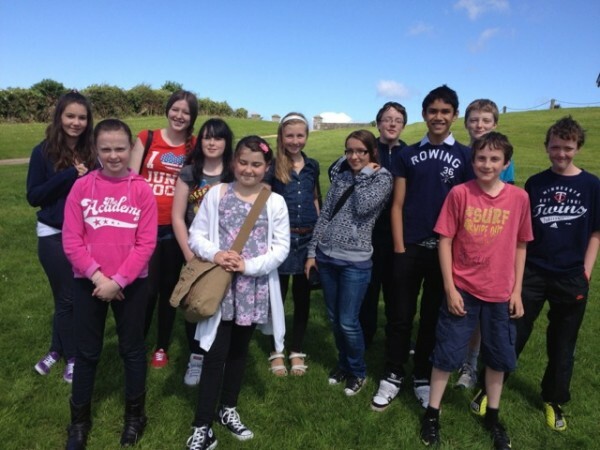 Here is a picture of a very happy bunch who attended a teen summer camp with me in Skerries Mills. Each course runs for five days and each day we cover a main topic. For example the first day I may do a guided writing exercise to help the students understand that, even when writing the same story, each of them has a unique way of doing it. We then move onto creating characters, which we put into a story during the week. Day Two we learn how to show character through action and dialogue. Day three we focus more on how to write believable dialogue and move on to how to hook a reader from the very start of a story. Day four covers how to plot a classic story, and Day five covers endings and editing a story. My aim for the week is for everyone to have fun writing and to achieve their individuals aims. We do individual writing, pair work and group work. There is one break each day for half an hour. I take the children/teenagers outside to eat their snacks. It is good for them to get fresh air between writing sessions. It is also a brilliant way to break the ice and make new friends!